With sincerity and hard work of our professionals, we have carved a distinct niche for ourselves in this domain by manufacturing and supplying Silky Bags. These bags are designed and developed under the guidance of our expert professionals, using modern machines and tools. 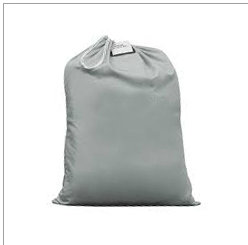 Owing to their superior stitching patterns, silky finishing, attractive designs and load bearing capacity, offered Silky Bags are highly demanded in the market. Valued patrons can avail these bags from us in various designs and patterns, as per their choices and preferences. We, Shree Ram Poly Packs, commenced our business operation in the year 2010 as a reliable manufacturer and supplier of packing fabrics/products. The offered range includes Woven Fabric, PP Woven Fabric, HDPE Woven Fabric, Laminated HDPE Woven Fabric, HDPE Woven Sacks, PP Woven Sacks, HDPE Colour Double Lamination Fabric, Tarpaulin, HDPE Tarpaulin, Polythene Sheets and Leno Bag. The products are meeting the packaging demands of various industries. It is developed with finest grade of fabrics and other material which gives it enough strength to bear pressure. The gamut is widely appreciated in the market due to its availability in host of sizes and color option, heavy load bearing capacity, light weight and sturdy nature. Further, we have constructed a sound infrastructure that is fitted with ultra modern machine and tools. This unit is well connected to road and sea for immediate and on time supply of the gamut. Also, we have capacious warehouse, wherein we store all our finished products in systematic manner. The storeroom is handled by expert team of storekeepers who make sure that every stored product in the unit is kept free from damages and foreign material. Beside this, we are guided and monitored by our honorable mentor, Mr. Shivaji. His high degree of perfection in this sector has led us to great height of success.